How to Unlock the Gradient Mesh Tool in Inkscape | GoInkscape! 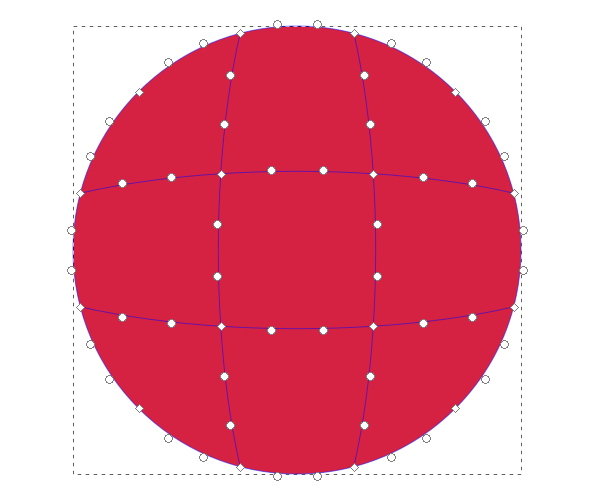 Gradient Meshes have been hiding in Inkscape 0.91 this whole time! 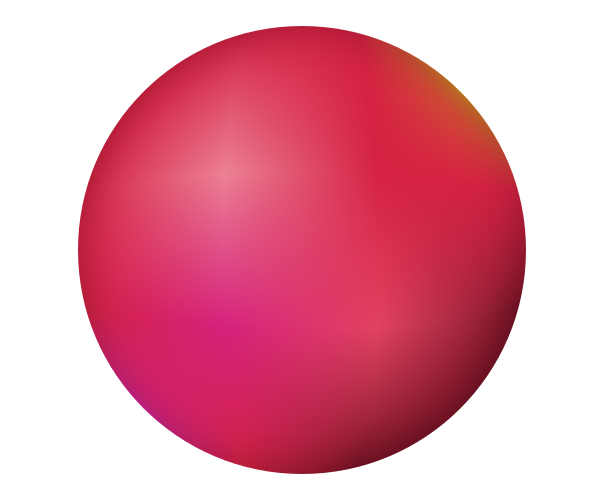 Since it’s not a fully supported and stable feature, I’m assuming the developers hid the Gradient Mesh tool for the stable release of Inkscape. 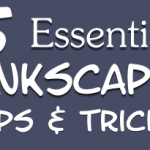 In this little tutorial, I’ll show you how to unlock and use gradient meshes in Inkscape! Get Inkscape 0.91 opened up and go to Edit > Preferences. 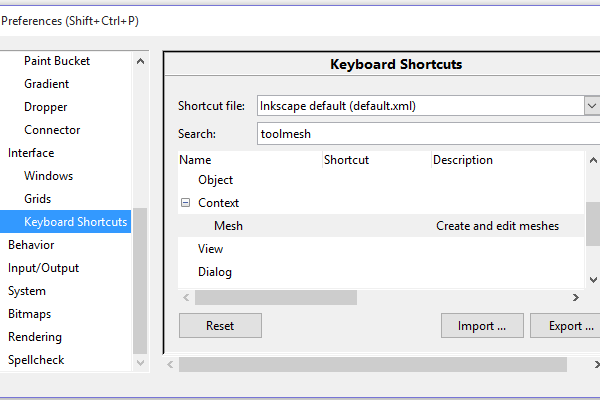 In the left pane, expand Interface and select Keyboard Shortcuts. In the Search bar, type “toolmesh“, then expand Context to show Mesh. Now just click the empty Shortcut space next to Mesh so that it prompts “New accelerator”, which you can then choose a keyboard shortcut. 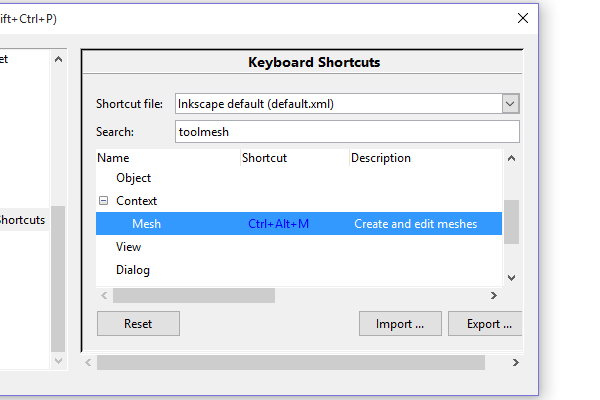 I ended up using Ctrl+Alt+M because it just makes sense, but you can close the Preferences window now. When the time comes where you need a gradient mesh, hit your keyboard shortcut (Ctrl+Alt+M) and double click on an object to create the mesh. Now you can do cool stuff like this! A big thank you goes to a reader named Bart for bringing this link to my attention. when I installed inkscape by default changed my workspace from (left To right) to (right to left), how I can return this to default English workspace? I use 0.91 German version on a 64 bit Windows 7 machine and this doesn’t work. When I try to set the keyboard shortcut by clicking on the “Tastenkürzel”(=”shortcut”) field in the mesh line, it says “Neues Tastenkürzel” (what I consider to be “new accelerator” in German). Then I press CTRL+ALT+M but nothing happens. A few seconds later the words “Neues Tastenkürzel” disappear again and no blue shortcut is shown. 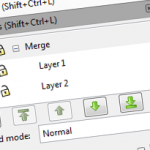 Using CTRL+ALT+M on the work surface doesn’t evoke any reaction of the program at all. This won’t change after restarting Inkscape. @Duke: as one of the Inkscape developers recently pointed out to me, this can be due to a specific cairo version (a software library used for rendering in Inkscape) that is shipped with – at least – the 32bit Windows version for Inkscape. I can confirm it works on Ubuntu Linux 14.04 and derivatives. as ahmeddeia pointed out, I am also unable to add any color to gradient mesh “FILL”. Stroke color works easily. Any idea why this behavior. And thanks for the tutorial. It is indeed a very good tool. 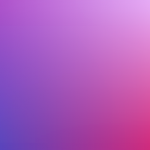 You never cease to amaze me with the tuts you come up here , but the gradient mesh beats it ! I believe one of the main reasons why it’s hidden is also that it can’t be viewed in current browsers or other SVG viewers. Thanks for the link and info Moini. I remember reading something on this a while back also. I hope SVG 2.0 can squeeze in support for meshes soon!